A recent customer hired us to install a conventional septic system in Springfield, MO. If you are required by Greene county to have a higher level of treatment check out Advanced Treatment Septic System in Springfield, MO. A conventional septic system relies specifically on anaerobic bacteria for treatment. Primary treatment occurs within the septic tank. Heavier solids sink to the bottom of the tank. Lighter fats, oils and greases rise to the top. Only the effluent layer between is what should flow to the disposal field. In the disposal field secondary treatment occurs when the effluent meets the soil. The anaerobic bacteria react with the soil forming a slimy layer called a biomat. The biomat serves to further remove sludge and pathogens from the effluent before being absorbed by the soil. An Envirotek Systems technician developed a preliminary system design which was laid out and marked in the field prior to permitting. This enabled us to choose the best geographical location for system components. This also ensured that the soil evaluation was performed in the area of the proposed disposal field. The septic system was designed for a future 4 bedroom home in Springfield. It had a detached shop with bathroom facilities. Our design consisted of a 1250 gallon concrete tank complete with access risers to grade, approximately 150 feet of 4″ sch. 40 solid PVC pipe between the tank and distribution chamber and 320 lin.ft. of alternative disposal lines. The tank was equipped with two separate 4″ sch. 40 sewer inlet pipes and baffles. When possible, we always use separate incoming lines for each structure that a system serves. This ensures easy diagnosis and access to any potential future clogged sewer lines. The tank has large diameter water tight access risers to grade over the inlet pipes and the outlet pipe. The house and garage had not been constructed so we customized the inlet piping to be self-supporting. This ensures that when the inlet lines are connected to their respective structures they will remain at the correct elevation and position in the tank. This was a gravity flow system. The disposal field was installed on a sloping hillside. The field was designed with four separate 80′ trenches utilizing alternative dispersal piping. A distribution chamber was installed at the highest elevation of the disposal field. Four separate 4″ sch. 40 PVC lines were connected to the distribution chamber with each 4″ pipe feeding a separate individual trench. Extreme care was taken to ensure that the inlet of each distribution pipe was configured to be at the exact same elevation. This ensures the best chance of even distribution to each lateral line. We also installed our proprietary flow control devices at each distribution line. These devices allow us to control the amount of effluent that goes to each line. It was good to know the homeowner cared enough about his new system that he elected to have us install it before any other ground disturbance took place. The system sits well out of the way of the planned construction and is ready for immediate service. We even installed a convenient RV dump which will be used during construction. 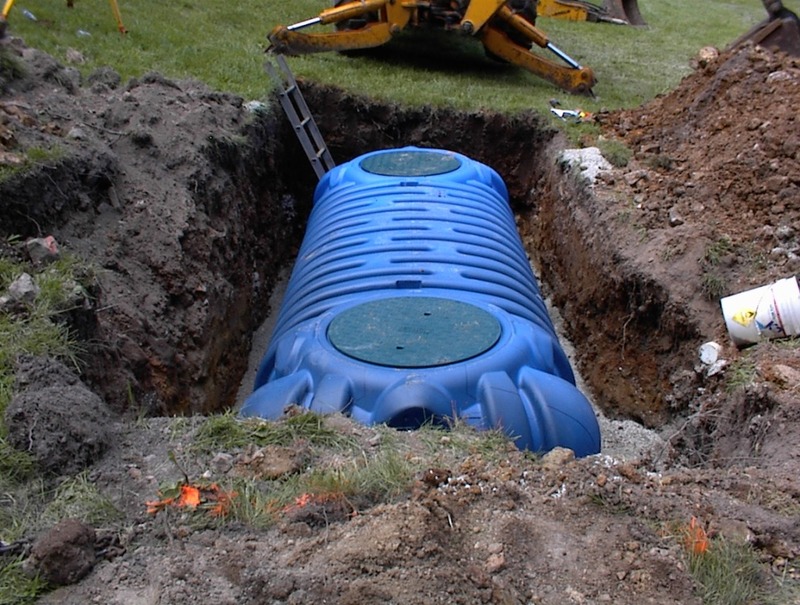 For your next septic system installation in Springfield, MO contact Envirotek Systems.